Give a gift of lasting smiles by sending this eye-pleasing European Dish Garden™, a combination of foliage and blooming plants that makes any special day more than memorable. 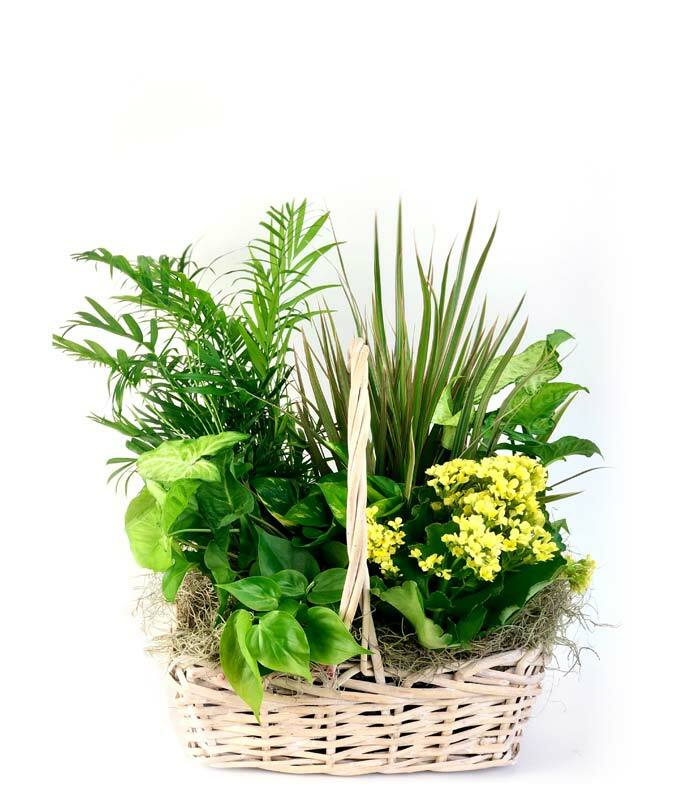 A gorgeous fresh selection of hardy green plants with a beautiful flowering plant creates an easy-care indoor garden for any setting, arriving in a handsome planter. Medium measures approximately 14"H x 7"D.